KING DAVID & GOD: What was the secret of David's success? What was the secret of David’s success? David came from practically nowhere, and ended up as king of Israel. Was it luck, ability, or God’s great favour? He was a younger son in a fairly unimportant family. So how did he become king? Was he specially favored by Yahweh, and if so, what does that mean? Luck – being in the right place at the right time? And the foundation of all this? Outstanding ability. He certainly took advantage of every opportunity that came his way. One extra thing he excelled at: he presented his kingship in religious terms, and claimed that he, and he alone, was the choice of Yahweh. As well, he skilfully emphasised the Mosaic covenant with God: he proclaimed that he had a special relationship with Yahweh, whose partner in the agreement was no longer the people of Israel, but David himself. To bolster this idea, David brought the Ark of the Lord to Jerusalem – in a very public way, with a great procession – pomp and circumstance. This made it easier to exalt his new capital, Jerusalem, as a holy city, a city of Yahweh. 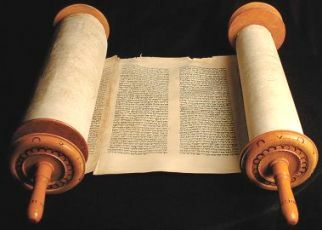 Following the tradition of older civilizations, he successfully attached prophets, including Nathan, to his court; this was one of the principal keys to his success. Nathan was astute, balanced, subtle – see for example how he handles David when David seduces Bathsheba. 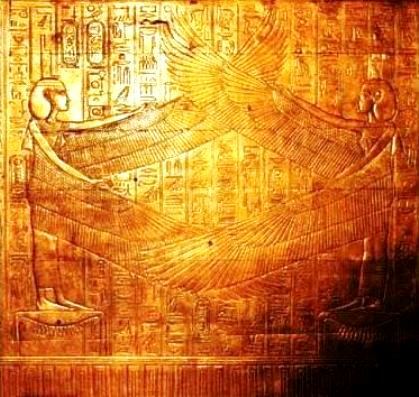 Side panel of one of the casings enclosing Pharaoh Tutankhamun’s coffin, which bears an uncanny resemblance to the description of the Ark of the Covenant. This coffin casing would have been created about three hundred years before David lived. David planned to build a temple to Yahweh but did not do so. Why? Or perhaps because a temple with a fixed location looked too much like Canaanite practice, and he wished to distance himself from that? This last reason is quite possible. David, astute except when it came to dealing with his family, was alert to these subtle ramifications. Indeed, he himself may originally have borne a Canaanite name (El-Hanan ‘grace of El’); so did one of his sons, (Beeliada, Eliada). David ‘leapt and capered before the Lord’ in the procession which brought the Ark of the Covenant into Jerusalem. His wife Michal (embittered because of David’s murder of her father and brothers) rebuked this as ludicrously undignified in a king. But it was also a ritual that went straight back to Canaanite practices – see Michal’s story: loving the wrong man. And the state religion over which he presided was not purely Yahwistic at all, but a mixture of Yahwism and Canaanite cult. 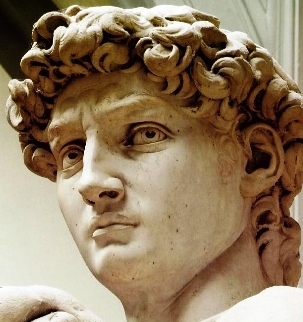 David’s daemonic energy and versatile genius gave Israel peace and prosperity. For this reason his reign, for all its bloody acts which the court historian admitted, was looked back upon as a type of Golden Age. Who was King David in the Bible?